A summary of data reported to the Clerk's office within the last 30 days, broken into transaction type and report type, with a transaction total for each type of record (expenditure, contribution, loan) reported. The most recently reported items are at the top of the dataset. Flat file data set of the data found in the Austin Finance Online eCheckbook application. The data contained in this dataset is for informational purposes only and contains expenditure information for the City of Austin.  Certain Austin Energy transactions have been excluded as competitive matters under Texas Government Code Section 552.133 and City Council Resolution 20051201-002; therefore, the line amounts may not reflect the total check amount if certain Austin Energy invoices were included on the check. This dataset lists all contributions and pledges received by candidates, officeholders and political committees on data files submitted per City Code Chapter 2-2-26. This dataset lists all loans taken out by candidates, officeholders and political committees on data files submitted per City Code Chapter 2-2-26.